Attend 1, 2, or all 3 of these special committee led sessions. Attendance in complimentary with your main conference registration but space is limited and pre-registration (during main conference registration) is required. Check back for more details on each session as speakers are confirmed. Join this workshop for hands-on guidance to building your LinkedIn profile and boosting your professional networking skills. Featuring Sabrina Woods who has 20 years in the career services field. Sabrina Woods is a Holistic Career / Life Coach & Linkedin Trainer with 20 years’ past experience in the career services field at universities including Harvard, Northeastern and the University of London. In her private practice, she works with individuals who are going through career transitions. 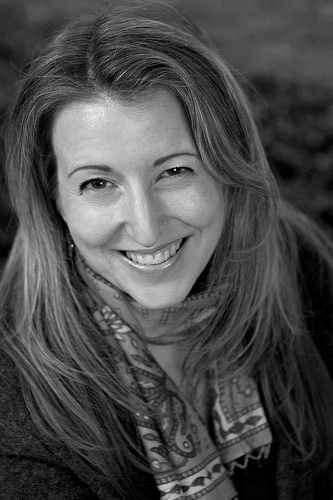 In her consulting work, Sabrina facilitates workshops ranging from Mindfulness to Networking. Sabrina has taught career-related workshops at HMS, Whitehead Institute, Dana Farber, Tufts, MIT, and MCPHS. In addition, Linkedin train-the-trainer sessions have been taught in the US, UK and Middle East. Her workshops combine her insights, enthusiasm and infectious energy. Her educational background includes a BA in Business from Northeastern University and an MA in Holistic Counseling from Salve Regina University. For more information: www.sabrina-woods.com, or www.linkedin.com/in/sabrinawoods. 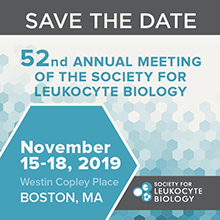 The Women and Diversity Committee is looking forward to hosting, since its creation by the Society for Leukocyte Biology, its ninth workshop at the annual meeting to be held in Boston, Massachusetts on Sunday, November 17, 2019 from 7 am to 9 am. The workshop is entitled, “Advocating for Your Goals: the Art of Saying No, So You Can Say Yes!”. This topical area will speak to the competing demands on their time that scientists face. Additional concerns are faced by individuals who identify as women, under-represented, first-generation or a combination of these. 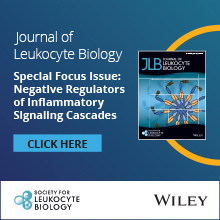 Such critical choices occur throughout the different phases of your career and can significantly affect research productivity and career advancement in either a positive or negative manner. This two-hour session will include a panel of career-stage specific peers sharing their experiences and strategies, small group discussions and sharing of best practices and mitigation strategies. Please sign up for the session when you register for the annual meeting, and come ready to learn new skills and share your insights with colleagues in an atmosphere of collaboration. A wonderful book that provides some resources on this topic will be the raffle prize! Complimentary breakfast will be served and all are welcome. Come hear firsthand experiences from Elizabeth Kovacs and Julia Bohannon to kick start the conversation and round table discussions. Session leader - Rachael K. Phillips and featuring a panel of advisors from various backgrounds. Building the Right Team Through Great Leadership. Join us for a highly interactive discussion, workshop, and symposium about building the most effective and efficient team. Whether you are creating a team from the ground up, revamping a team through a new initiative, or looking for a team to join, our time together will provide you with the tools to be successful. Take away practical solutions and helpful hints about leadership, communication, and team management from leading scientists in industry, academia, government, field work, and research. The workshop will be divided into three main sections, followed by a panel discussion moderated by the presenter. We invite scientists of all experience levels to join what will be an interesting and useful conversation. 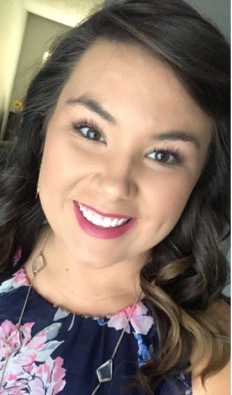 Rachael K. Phillips, Ph.D. is currently the Learning Specialist at East Carolina University School of Dental Medicine, where she uses her background in research on implicit bias and STEM education to optimize the learning environment of dental students. Prior to her own graduate education, Dr. Phillips served as a high school classroom science teacher and teacher mentor where she provided STEM education professional development. Dr. Phillips has also served on the advisory council for multiple science education societies. In 2014, Dr. Phillips received an Accommodation for exemplary service and significant contributions to science teaching and learning in schools from the Texas state house of representatives for her testimony concerning the ratification of Texas high school graduation requirements. Before, during, and following her graduate education, Dr. Phillips has been presenting at state and national conferences since 2012, covering a wide range of topics including curriculum development, bullying and social dynamics, teacher anxiety linked to evolution education, faith-based sexism, and implicit gender bias in science education. In her current role, Dr. Phillips continues to perform her research on implicit bias in STEM education with a focus on the underserved and underrepresented populations and continues to present on the foundations of educational psychology as they pertain to teaching and learning. Dr. Phillips will lead this year’s program, which will include a highly interactive symposium to include small group workshops and panel/participant discussions about building the most effective and efficient team. Whether you are creating your team from the ground up, revamping a team through a new initiative, or looking for a team to join, our time together will provide you with the tools to be successful. Take away practical solutions and helpful hints about leadership, communication, and team management from leading scientists in industry, academia, government, field work, and research. The workshop will be divided into three main sections, followed by a panel discussion moderated by the presenter. We invite scientists of all experience levels to join what will be an interesting and useful conversation.